For a week now, I've been going on and on about the Kindle 3. 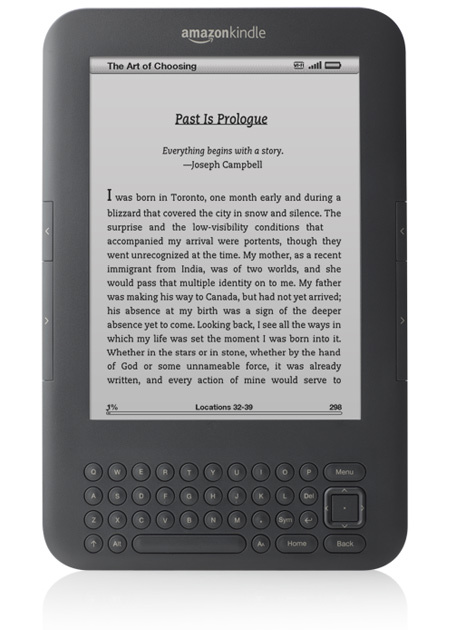 Amazon launched the new Kindle several days back which was available for pre-order. It wont be until next month 'til those who pre-ordered will get their hands on the new and shiny device. A 6" monochrome eBook reader? What about it? 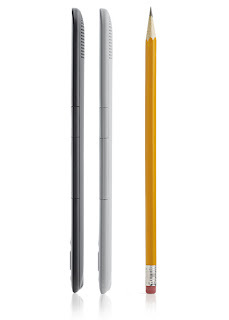 People would say that the iPad would be a better option, but why do I want this piece of thin monochrome reader? Perhaps, the biggest selling point for me was Whispernet. Includes free 3G wireless: No monthly payments, no annual contracts. Download books anywhere, anytime. Free 3G. Browser. Do you get my drift? Even if its a half assed and ugly browser, it is a browser.. Running with the power of free 3G! This leads me to my second point: Google Reader. In a day, on an average, I consume around 300 articles ranging from Engadget, Gizmodo, Hackaday, Kotaku, Lifehacker posts to local news courtesy of Google News and some daily spiritual readings (which admittedly, I often just skim through) .. I don't read every bit of article I come across, reading through Google Reader is like reading a newspaper. You don't read articles which proves to be of little interest to you. I fully read about 20 or 30 or so articles a day which happens to be shared through this blog or to my Facebook account. New blog posts from friends also shows up in Google Reader, its like newspaper++. Whispernet + Google Reader makes me feel like I could jam every information I would want into my head, anytime, anywhere. Which then leads me to my third point: Other sites. Ive ranted about how I don't trust those SMS to social networking services because of their lack of security? Perhaps some of my friends heard me rant about how 1,200 is too much for an unlimited data plan from our dear telcos. I really wish that there was some way I could Ping (using Ping.fm) my way to updating my status free of charge.. Seems like the Kindle is a good solution. Ping is a simple enough website which provides a simple thing, a box where you put your status message in.. and updates the social networks you've added to your profile. Simple. Seems like Kindle could handle this simple task. My final point would be aesthetics. Ive had the chance to fondle an iPad, carry it, feel how much it weighs, how feature rich it is and all that. Yes its a magical and revolutionary device BUT.. if you're looking at using it most of the time to read.. Or to absorb text based content.. Then the iPad would be overkill for that specific use. For eBook reading, yes iBooks is a whole new level in reading technology but its way too much for conventional reading. Reading a plain book in an iPad feels like killing a mosquito with a cannon. The iPad, as I see it, is more for the media consumption. Watching TV series, surfing the web, listening to podcasts, playing touch based games, those kinds of stuff. But for plain 'ol reading, a months worth of juice makes the Amazon more appealing to those who would just want to quietly read a book. 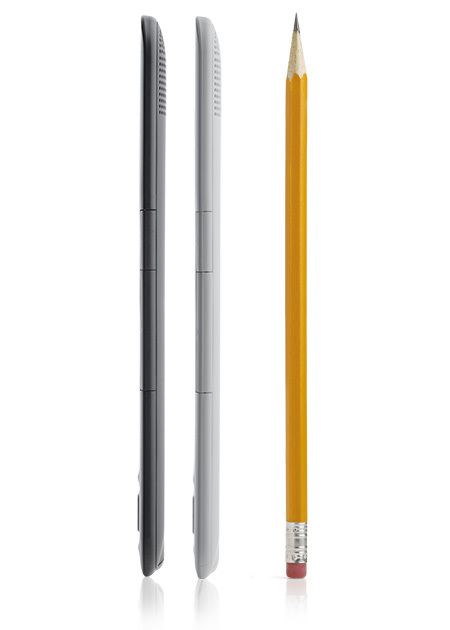 Its thin, lightweight built proves to be a good companion when you go about long trips (which you would like to spend reading). And as a commuter, I think the Kindle would be less appealing to muggers than an iPad. I think I'd be more confident to pull out a Kindle than an iPad on a bus ride home. The downside though, Amazon is still selling eBooks at crazy prices. I still hope that the prices would go down to fair levels. Perhaps I would need to emphasize on 'fair levels' in the pricing of eBooks in one of my next posts. But as a workaround, you could have your pdfs converted to Kindle readable format. Overall, the Kindle proves to be a good reading companion along with its free data services which provides other value added services to the device. Amazon will be rolling out an app store for the Kindle soon, so perhaps its just realistic to hope for a better Facebook layout for this monochrome device? Haha. That would be something to laugh about.